Cristina McAlister Has Been Emceeing Local,State and National Pageants For Eight Years!!! **CLICK ON THE BANNER TO BOOK CRISTINA AS YOUR EMCEE TODAY!!! Order now through December 23rd for the special holiday pricing! Subject: Come to the Castle! Experience a FairyTale weekend at the castle!!! tickets for all 4 days! Program book and Disney Theme party Saturday night! Subject: ENTER BEFORE DECEMBER 23RD AND GET UNLIMITED FOR ONLY $5! !! Also Eyebrow Waxing !! 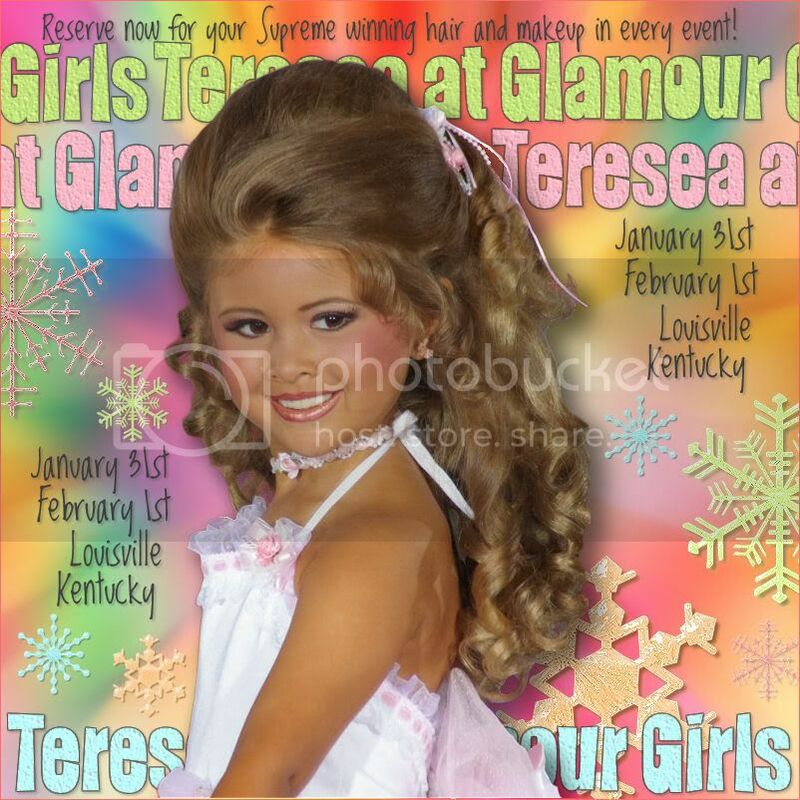 24th Starz & Glitz-Kings-Mountain, N.C.
31-FEB.1 Glamour Girls Nat.-Louis, Ky. !!!! (already booking fast) !!!! 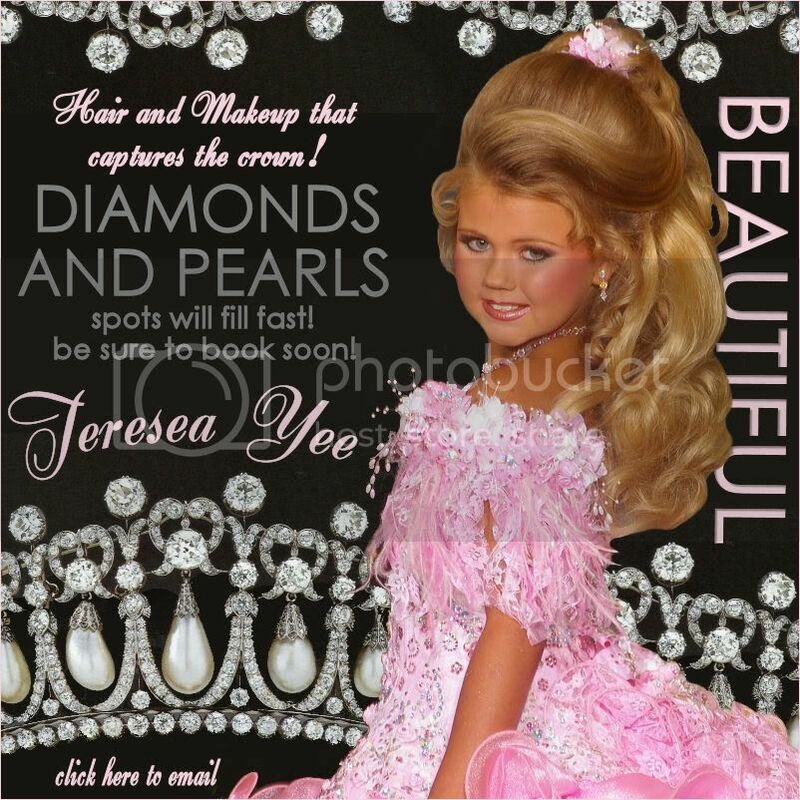 *FEB 27-MARCH 1* Angelic Kids Nat.-Louis, Ky.
13-15 Americas True Beauties Nat.-Dallas, Tx. If you want your fees PAID to nationals...DONT miss this contest! Destiny invites you to America 's Grand Miss! She can't wait to crown you with this amazing crown! CONTEST DEADLINE IS DECEMBER 30TH! chance to win your supreme package PAID! Don't Miss the photo contest deadline of Tuesday December 30th! Click the banner to visit us online! Supremes come from beauty and your ONE highest optional. No pro-am! We are looking for beautiful faces! AGM is a facial beauty pageant and we are looking for YOU! Our beauty score is 75% facial beauty & 25% overall appearance! Simple soft dresses are perfect for beauty! No glitzy pageant dresses. and your ONE highest optional. No pro-am. America's Grand Miss NationalTake Home Our One of a Kind 12 Inch Amazing Crown!
. : Take Home Our 12 Inch Amazing Crown! :. our national beauty receive the 9 inch! Happy Holidays from Porcelain Dolls!! and get $25 off your Porcelain Dolls balance at the door!!! Merry Christmas from Porcelain Dolls!!! Disco Divas National Pageant Announces a New Title for 20091 LUCKY DIVA WINS A $10,000 BOND! 1 Mega Ultimate Dynamic Diva Title! 1 LUCKY DIVA WINS A $10,000 BOND! Paperwork available on site now! Our first photo contest begins Friday December 12th! 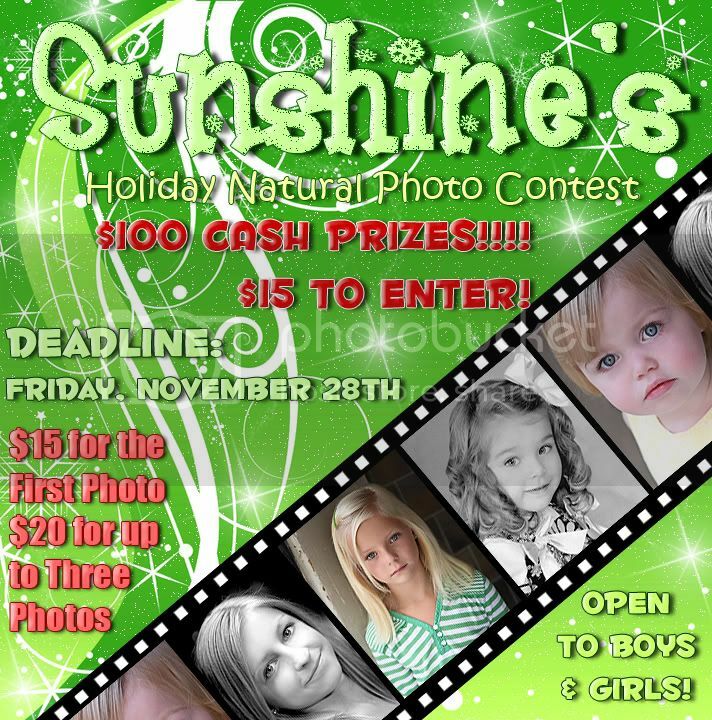 Deadline for entering photo contest is Dececember 29th! La Belle Fille Annual DVD Blowout!! .Discover what your competition already knows! Subject: Be Sure To Book Early ! Subject: CUSTOM MADE RWB CASUAL WEAR FOR SALE!!! Subject: CONTEST D/L TONIGHT !!! WIN YOUR SUPREME PACKAGE PAID TO NATIONALS!
. : Deadline to Enter is Thursday December 11th! :. Only $50 for unlimited glitz and or natural photos! Don't Miss It! Win Your Supreme Package PAID! DON �T MISS THE PHOTO CONTEST DEADLINE OF DECEMBER 11TH! ENTER TODAY SO YOU DON �T MISS IT! 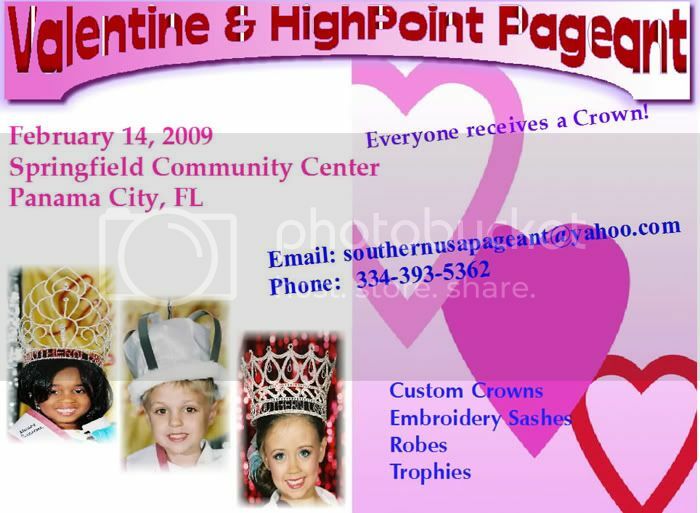 Valentine Mini National & Highpoint Pageant!! ENTER BY DECEMBER 31ST AND RECEIVE AN ADDITIONAL $25.00 OFF THE SUPREME PACKAGE. THIS WILL LET YOU ENTER THE SUPREME PACKAGE FOR JUST $200.00!! SO MANY WAYS TO WIN!!!! ULTIMATE GRAND WILL RECEIVE A $1000 SAVINGS BOND!! GRANDS WILL RECEIVE $500 SAVINGS BONDS!! DO YOU WANT TO RECEIVE 1/2 PRICE OFF THE WORKS PACKAGE TO WORLD'S PRECIOUS CHILDREN NATIONAL FINALS?? To Qualify, All You Have To Do Is Get A $50 Deposit In Before The End Of The Year!! Three Grands Will Win A $4000.00 Savings Bond! Plus.. 55 More Titles Will Win BIG!!!! Subject: ~Surfin Safari Open State Pageant~ $1000 CASH to each beauty winner!! BOOK EARLY!! Spots will fill up fast and will be limited!! Please email us to be added to the vendor list!! presented to only Porcelain Doll Supreme winners!! What Will You Be Wearing for "Porcelain Doll" Wear? Surprises Like You Have NEVER Seen Before!! Be sure to book your Supreme winning look soon!! Click on banner to email for Glamour Girls! Teresea won't over book * reserve now to avoid the waiting list! JUST FOR YOU WITH TERESEA YEE! click on banner to email Teresea today! RESERVE NOW FOR YOUR SUPREME WINNING HAIR AND MAKEUP!! Closes January 1, 2009 midnight EST. 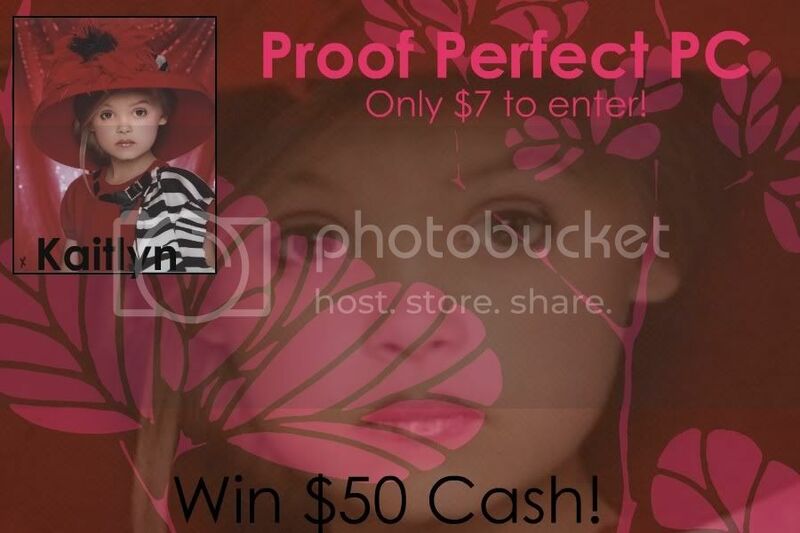 we will choose a grand photo winner. OVER $20,000 in prizes to be awarded! All categories have age divisions! Your Help & Support is Greatly Appreciated! Over $20,000.00 in Prizes Have Been Donated! !Many Thanks To Our Generous Host of Sponsors! EVERYONE who enters will win a Prize! You can rush your retouched enlargements & have them back within 24 hours!! Donna's Studio Wants You !! Click banner to Email Miss Ashley for your SUPERMODEL moves! WOW ONLY $150 FOR ALL EVENTS!! click the banner to email Madonna & reserve! Let's See Your Natural, Comps & Glitz Photos!! Teresea Yee Now Booking H/M at the Castle! Come to the castle and experience a FairyTale weekend!! Please click on banner to email for more information! Donna & Madonna are making their 2009 Shoot Schedule! If you would like to hostess a shoot in your area, click the banner & email Madonna! Don't miss our on our earlybird special pricing packages!!!! ::Whatever your needs we have you covered! Donna's Studio... Promoting Character ,Fun and Friendship In Pageantry! **CLICK ON THE BANNER TO BOOK TODAY!!! 144 Grand Supremes Win Their Supreme Package Paid!! Christmas Stockings and Custom Crowns for all Contestants!!! 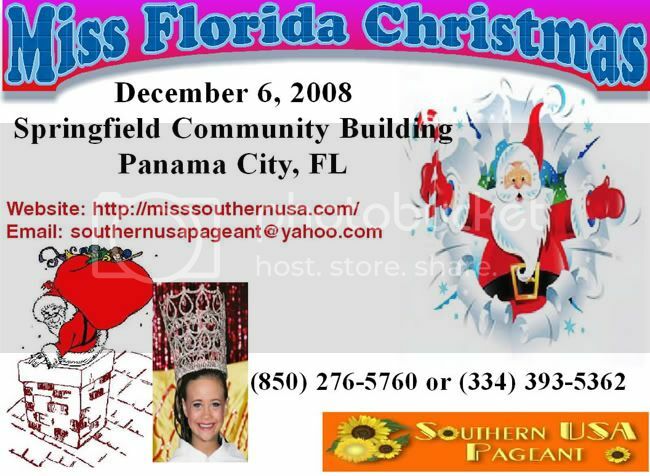 Subject: MISS CHRISTMAS BIG CROWN/ALL CROWN PAGEANT! BIG CROWN and ALL CROWN PAGEANT! CHRISTMAS MONOGRAMMED SASHES, TOYS and GIFTS!!! Glitz Dresses and Glitz Holiday Wear Allowed!!! 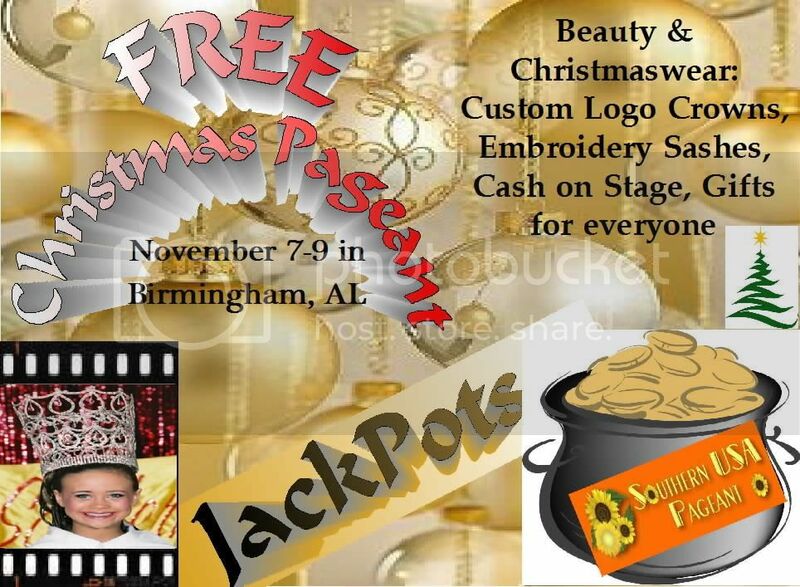 $100 CASH or Free Entry to Miss Christmas Big Crown Pageant! Your Choice! Free Entry to Miss Christmas Big Crown Pageant! Photos DO NOT need to be Holiday themed. Don't Miss Our Guest Book Drawing!! Winnings Towards Your National Fees!! 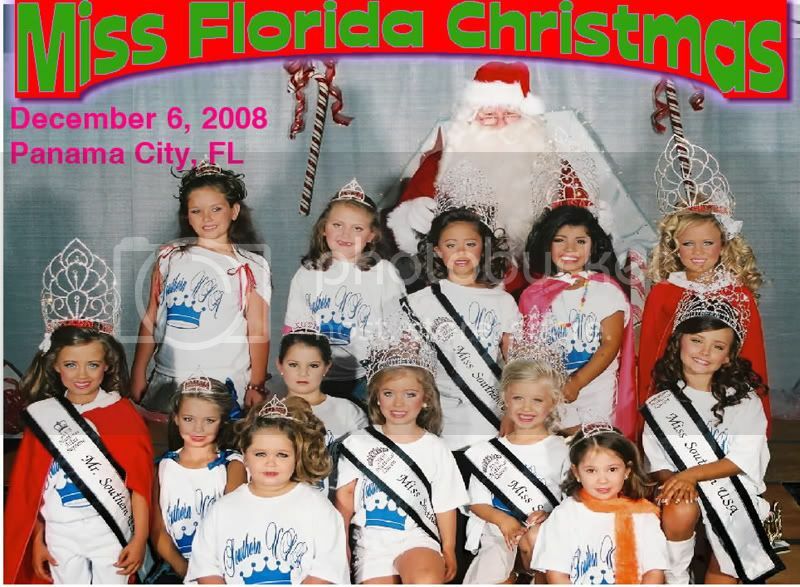 ~Miss Florida Christmas~Supreme Package only $75! 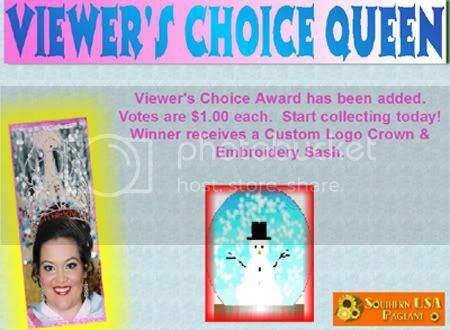 Viewer�s Choice has been added so start collecting votes now for a Custom Logo Crown - Don�t Miss This Pageant - EVERYONE Receives a Title and Crown! Photo Contest Ends This Saturday November 15th! Subject: Now Booking for Christmas in Dixie and Gorgeous Girls! 3 Days or less to Closing! Guaranteed Prizes are Paid and Shipped Fast! 4 Days or less to Closing! 7 Days or less to Closing! CLICK BANNER TO GET ON SANTA'S GOOD LIST! Winning Hair and Makeup that captures the crown! BOOK SOON BEFORE IT'S WAITING LIST ONLY!! DON'T BE LEFT ON THE WAITING LIST.....RESERVE YOUR SPOT TODAY! PAY DEPOSIT BY NOV. 9 AND ENTER BOTH PAGEANTS FOR $100. INVITES YOU TO AN AMAZING CHRISTMAS BALL!!! PLAZA HOTEL, FORT MILL, S.C.
GREAT AWARDS AND AWESOME CROWNS!!!! GORGEOUS CROWN, MONOGRAMMED SASH, AWARD AND $100 CA$H!!! BOTH PAGEANTS WILL BE HELD SAME DAY WITH DIFFERENT JUDGES. Photo Contest Going On Now!!! Guest Book Drawing This Weekend! Win fee's Off! Subject: EARLY ENTRY EXTENDED FOR CID! EARLY ENTRY DEADLINE EXTENDED UNTIL OCTOBER 31ST!!! Please contact us to be added to the vendor list!! Closing� 4� Days� or� less! 1� Time� a� Year� Event� for� 0-12� Boys� Only,� Don't� Miss! NOV. 1, CLARION SUITES, AUGUSTA GEORGIA. 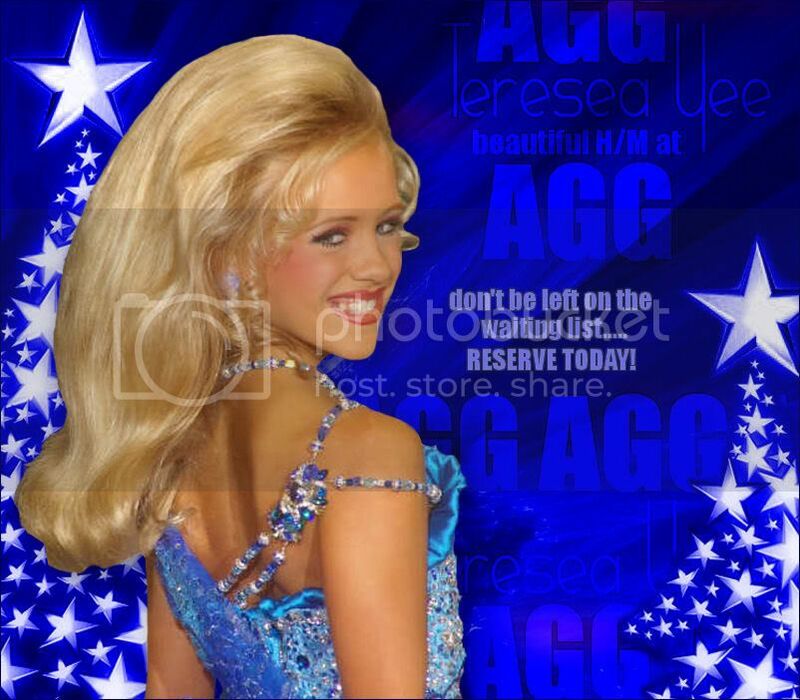 NATIONAL PAGEANT, GORGEOUS CROWNS, MONOGRAMMED SASHES AND AWARDS. WEAR BEFORE YOU GET TO NATIONALS. ON OVER TO AUGUSTA FOR A SPOOKY GOOD TIME. AGE DIVISIONS: 0-11 MONTHS, 12-23 MONTHS, 2, 3, 4, 5-6, 7-8, 9-10, 11-12, 13-15, 16- UP. Jackpots are now in each Age Division! All Age Divisions Are Still Open! 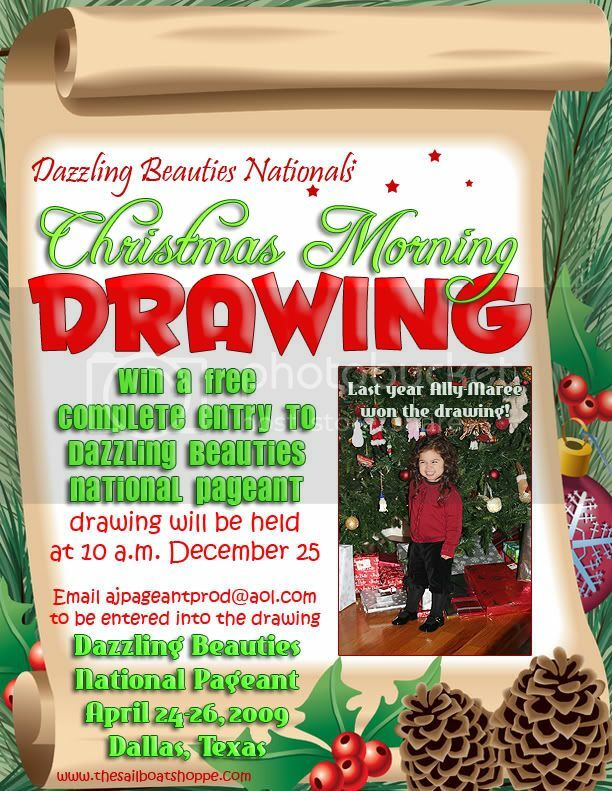 � FREE PAGEANT! 2 Outfits: Beauty & Christmaswear with Jackpots for Both Events Now In Each Age Division! Don�t Miss It! Limited to 10 entries each age division. Everyone received gifts! Click Here To E-mail Us Today JOIN STAR POSTING NOW! Subject: DEADLINE EXTENDED TO SUNDAY!! LAST CHANCE! 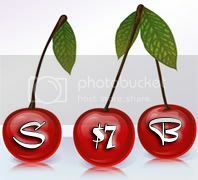 BUILD THE JACKPOT & WIN SOME CASH!! TO THEIR ~OPEN~ CHRISTMAS BALL!! GREAT AWARDS AND AWESOME CROWNS. SATURDAY DEC. 6, 2008, PLAZA HOTEL, FORT MILL, S.C.
HOTEL RATES FOR FRIDAY AND SATURDAY ARE $49 EACH. Subject: SEND IN YOUR DEPOSIT BY OCT. 18 AND RECEIVE FREE OVERALLS! CLOSING� Tonight� @� MIDNIGHT� CST! Join Us For A Brand New Pageant Experience!